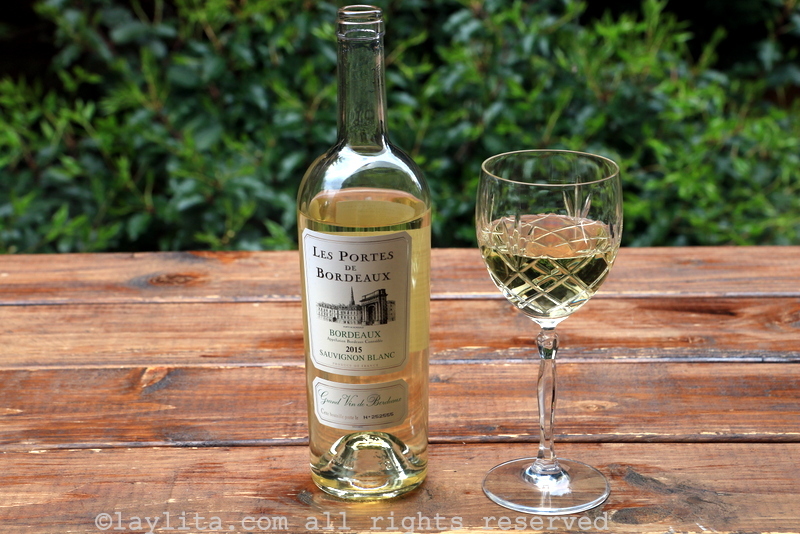 Portes de Bordeaux white wine review – Laylita.com - Recipes. Recetas. Food. Comida. Travel. Viajes. This bottle is very simple with transparent glass to show the wine color without any alteration. The cork traditional i.e. not made of plastic or using one of the new twistable caps, more and more common in white wines. This wine is true to a good Sauvignon Blanc: very smooth, citrussy, fresh, with no after taste of oak as it is often the case for Chardonnay whites. On one hand we could say there is nothing that stands out about this wine, nothing exceptional that would make a “wow” factor. Some wines are very unique in their flavors and stand out, while others just represent their grape variety while being very easy to drink. This Portes de Bordeaux is clearly the latter. It makes for a delicious complement to seafood. We used it partly for cooking mussels yesterday, and the rest of the bottle made the drink for lunch as we enjoyed those mussels. 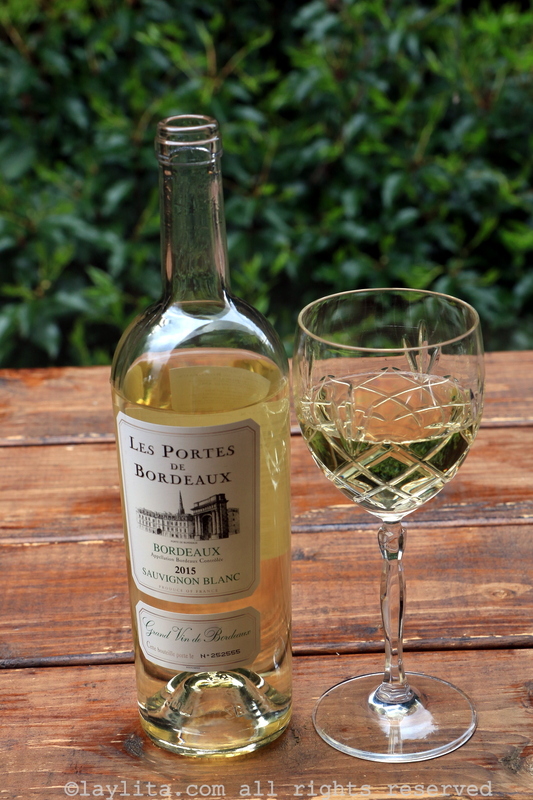 Our review of the Portes de Bordeaux white wine. This is a Sauvignon Blanc varietal that provides a great value you can use for cooking and/or drinking.